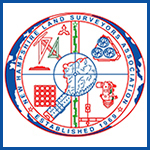 I would recommend Stonewall Surveying to anyone looking for surveying services. He was also recommended by a friend and I was glad I called him and decided not to go with the company that gave me a quote prior. Stonewall Surveying got the job done in the scheduled time. Ray is a very nice person and very professional. He also looked up information for me that had nothing to do with this property at no charge. “I have been a Code Enforcement Officer (CEO) for over 40 years and have been employed by the Town of Ogunquit, Maine for the past 18 years. I have worked with Raymond A. Bisson on several projects throughout the years. He is one of the more adept surveyors I have worked with during my career as a CEO. Raymond has proven to be an asset to many residences and commercial projects in the Town of Ogunquit because of his understanding of Land Use Regulations and applying that knowledge to their projects. He has been involved in a multitude of projects from subdivisions, flood plain elevations to lot coverage calculations and setback restraints. Description Of Work: Surveyed the property, recorded the plans. Walked me along the property line, showed me the alignment of present and past artifacts. Revealed hidden historical evidence of early American and/or history and use of the land. Very professional, very personable, very respectful, extremely knowledgeable.